All-in-one HEAD-TO-TOE Styling - Complete your style with this waterproof, MultiGroomer. A full metal trimmer and a set of 8 attachments-including adjustable combs with up to 18 length settings-gives you complete styling power over face, hair and body. Full size trimmer for neck line, sideburns and chin - Maintain your style, get clean, sharp lines around the edge of your beard, or create perfect stubble with the full-sized trimmer. Detail foil shaver for a close finish around the edges - After trimming, finish your style with the detail foil shaver for a clean, polished look. Bodygroom smoothly trims and shaves any area of your body - The Bodygroom shaver is designed for a gentle and comfortable shave on any area below the neck. Trim and shave in one stroke for a completely smooth finish. The shaver head is made with a hypo-allergenic foil and has patented rounded tips to protect your skin while shaving. 18 length setting beard & moustache comb - Keep your beard at the length you prefer. Choose from 18 length settings in 1mm steps by using the beard comb on the full-sized trimmer. 18 length setting hair-clipping comb - Keep your hair neat and styled at the length you prefer by selecting between 18 different length settings on the hair-clipping comb, in 1mm steps (3-20mm). 10 length settings body trimming comb - Trim your body hair to the length you prefer by selecting between 10 different length settings on the body-trimming comb. 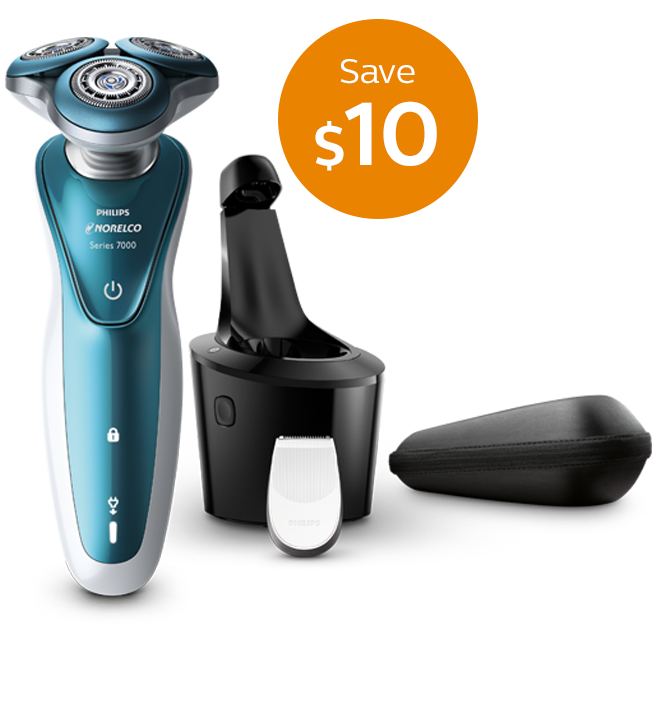 Skin-friendly trimmer blades are easy on your face and neck - Guaranteed best results with precision heat-treated blades made of finely ground Chromium steel. Self-sharpening blades ensure long-lasting performance while rounded blade tips and combs prevent skin irritation. Turbo power boost for fast results on thick hair - High performance battery with 50 min usage after only 1 hour charge. Also features a 5 min quick charge for one complete trim. Get fast results on thick hair with the turbo setting, which increases cutting speed. Travel and storage pouch for convenient travel and storage - Keep your grooming kit organized with the convenient travel pouch, which holds and protects your Multigroomer when you're on the go. Fully waterproof for use in the shower and easy cleaning - Trim and shave wet or dry, or even in the shower. To clean, you can simply rinse this grooming kit under the tap. 21mm detail trimmer for fine lines, small areas and details - Create the fine lines and details that define your style with the detail trimmer. 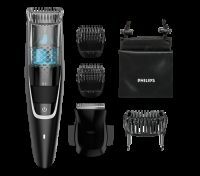 To Recieve updates and possible rewards for Philips QG3387/15 please sign in. To Recieve updates and possible rewards for Trimmer, Clipper & Shaver please sign in.